Looking for a new, unique venue for your business events? Our purpose built function room comfortably holds 70 (seated), to 100 people standing. 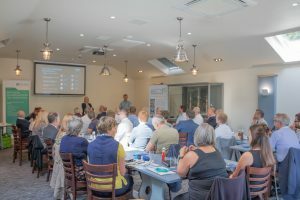 The room is ideal for business exhibitions, conferences, networking events or staff away days, situated in a beautiful setting in the southern Broads. There’s a wide choice of catering options available, from tea and coffee to various buffet options. The room has a 60” flat screen TV, projector and even has a spacious outdoor sunken courtyard, ideal for more informal events or when a break is needed. 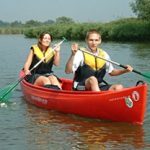 If you’re looking for a meeting or team building exercise with a difference, you can hire our luxurious 12-person Admiral day cruisers, canoes and kayaks. And with our luxurious hotel rooms and lots of other accommodation options, such as glamping and lodges with hot tubs, people attending events can stay with us too.